I’m a big advocate of making everyday experiences more fun, just the smallest details can take the ordinary to the next level. When it comes to keeping kids fueled up, offering up the perfect snacks and drinks is easy. Making sure your kiddos will come running for them is easy when you make just the right choices. 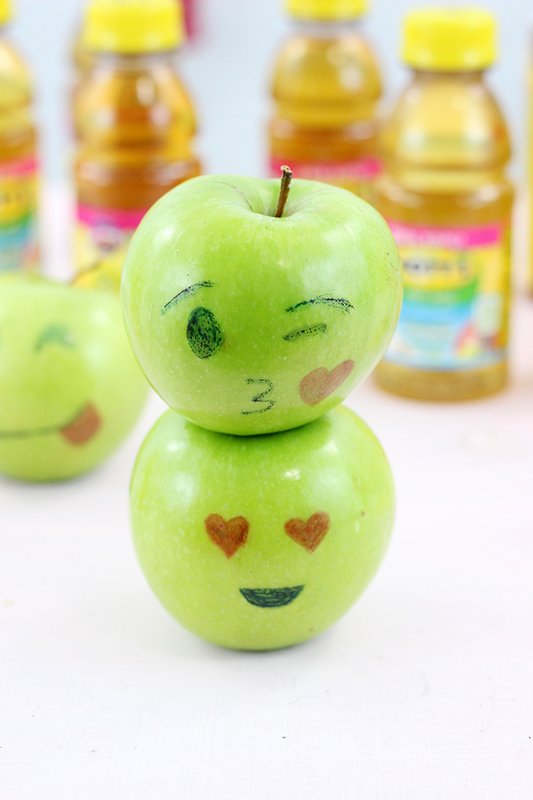 Today I’m sharing easy to make Emoji Apples and great ways to keep refreshing beverages at your kid’s fingertips after school. Compensation was provided by Dr Pepper/Snapple via MomTrends. The opinions expressed herein are those of the author and are not indicative of the opinions of Dr Pepper/Snapple or Momtrends. My son always comes home from school ready for a snack, he always has. When it comes to refreshing sips, he’s always ready for something tasty. That boy can drink too, let me tell you. I was the same way when I was his age and beyond. Yummy drinks first and snack second. You might be surprised about all the kid-friendly beverages that the Dr Pepper Snapple Group offers, I sure was. It may just blow your mind when I share these. From this Yoo-hoo, Hawaiian Punch, all the way to Mott’s. Did you know? The best part is these bevys come in easy to grab containers. Perfect for grabbing on the go after school or in lunchboxes. 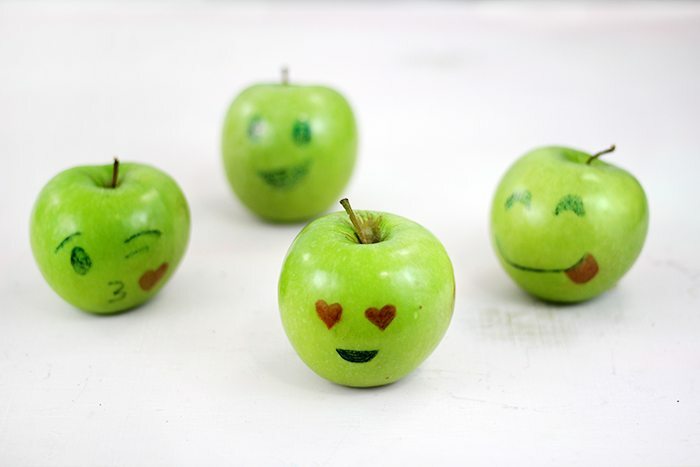 Making cute little emoticon faces on apples is a breeze, the kids can even help for a fun activity. All you need are some apples, green are best or you won’t be able to see the drawings. Use food grade markers that are safe and specifically made for writing on food only. There are a few brands available. Easy Writer Food Decorator brand can usually be found right in the baking section in the grocery store. I found mine right next to cake and cupcake decorations. 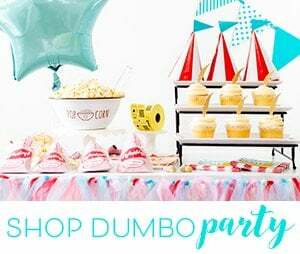 You can also find other brands in craft specialty stores that have a baking section. Clean the apples first, the waxiness can make it a challenge to write on since the food grade markers are different than regular ones. They are more like a watercolor paint. Then, have at it. Let your creativity soar. Happy snacking! Thirsty? Try something new today! Find your flavor at DrPepperSnapple.com. Stay in the loop by following them on Facebook and Twitter. 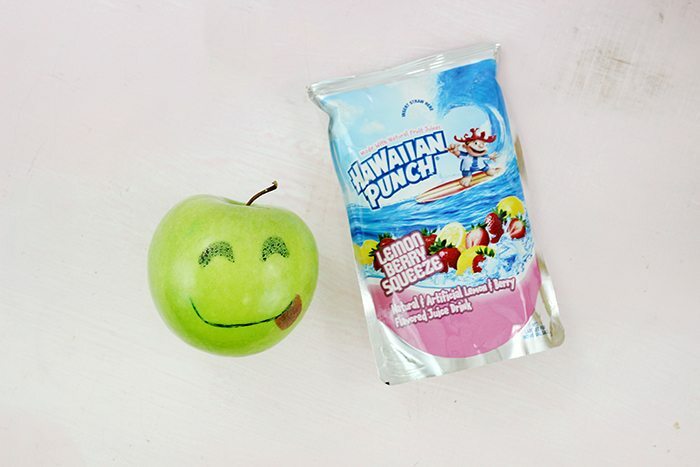 Which of these Dr Pepper Snapple Group drinks would your kids love? 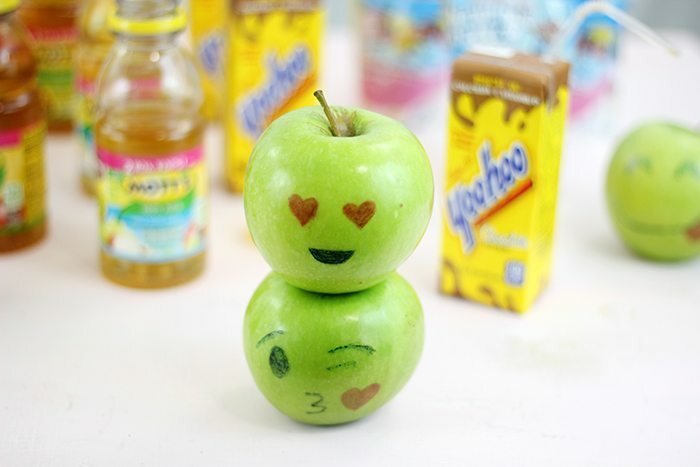 A healthy idea and having fun while promoting healthy snacking. Sounds like a winning plan! I'm pretty sure that my son would love it! Apples is his favorite fruits and I think, it would be fun for this emoji apples. 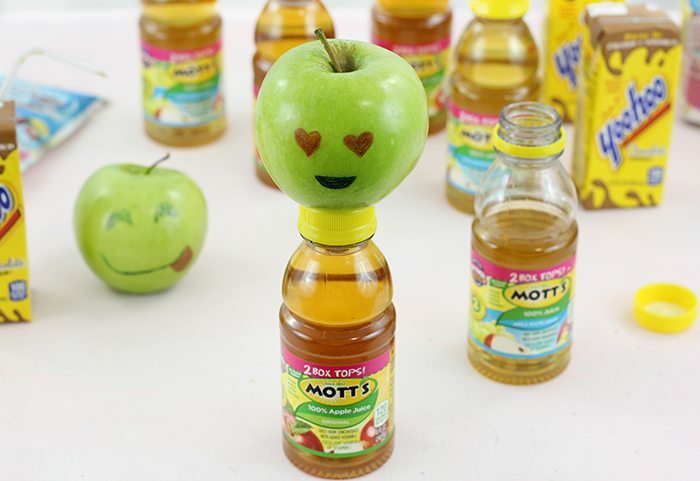 My son is addicted to Mott's Apple Juice. It is his go-to drink for everything. I wish I could get him to eat fresh apples, though. Maybe if I try your emoji trick he'll give one a try. 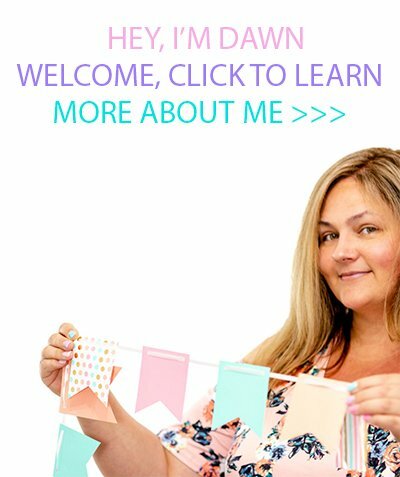 That is such a cute and creative idwa! I also like golden yellow apples, this would look good on those too I bet. How adorable is this! I am always trying to get my daughter to eat more fruit, I am sure she would just love apples like this, she would show them off to her friends I am sure.